This wireless soundbar with BT allows you to enhance your TV experience with crisp dynamic sound. Power: 4 5W. Support BT connection, compatible with most BT devices, for convenient wireless playing. 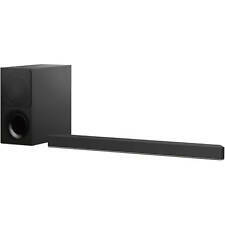 New Insignia NS-HSB318 2.0 Channel Soundbar Digital Amp Bluetooth - SHIPS FREE! Hear your TV audio better with this 2.0-channel Insignia Bluetooth sound bar. Its simple one-cable TV connection provides easy installation, and it has three preset sound modes for an optimal audio experience with movies, news and regular TV programs. 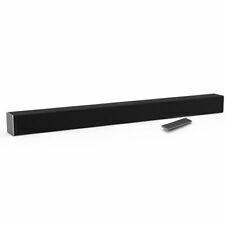 4.5 out of 5 stars - New Insignia NS-HSB318 2.0 Channel Soundbar Digital Amp Bluetooth - SHIPS FREE! 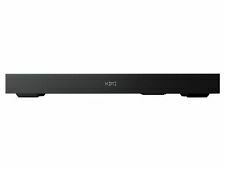 20 product ratings20 product ratings - New Insignia NS-HSB318 2.0 Channel Soundbar Digital Amp Bluetooth - SHIPS FREE! 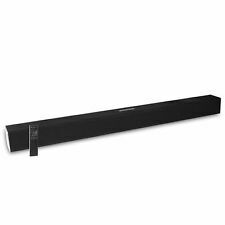 LG SK1 - 2.0 ch Compact Sound Bar w/ Bluetooth Connectivity. Bluetooth Streaming. Compact Design. Step 1: After Checkout. Item Report. Oven Range. These blemishes are not shown in pictures. Bluetooth Steaming. High signal to noise ratio up to 70dB makes sure a clear sound without noise. Furthermore, it can search for and receive FM radio stations. Furthermore, you can plug a TF card into it to listen to music you like freely. Compatible with LG SJ4Y and SJ5Y Sound Bar Models. Surround Sound Expansion Kit. Wireless connection. Wall Mountable. NEW IN BOX. 320W 2.1ch High Resolution. Soundbar Mode - Channels/Power 2.1ch. 320W (Speaker Using AC Power) 140W (Speaker Using Li-ion Battery). Soundbar Standby Power Consumption Less than 0.5W. 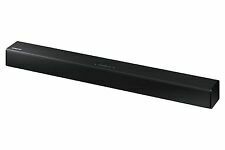 Soundbar Power Consumption 22W. The simple way to make your TV sound as good as it looks. Built-in subwoofers, DTS® Virtual:X™ virtual 3D surround sound, and slim enough to fit in front of your TV or wall-mounted. 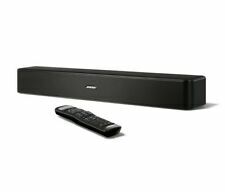 Built-in subwoofers for deep bass in one slim sound bar. Bluetooth is onboard for wireless audio streaming from compatible devices such as smartphones and tablets. The Soundbar 700 has an HDMI eARC port (which is backward-compatible with ARC), plus an optical audio input. Trending at $716.99eBay determines this price through a machine learned model of the product's sale prices within the last 90 days. Top performance united with maximum simplicity. The Shockwafe Plus 5.2ch soundbar system is a plug-and-play suite that will transform the acoustics of your living room into that of a movie theater in minutes. If you're looking for the perfect sound system to fit right into your media setup below your TV, check out the soundbars in this collection. Many different brands make these types of speakers, and they are available in a variety of styles. eBay offers these products in brand-new to used conditions in a range of affordable prices. Which brands make home soundbars? What types of soundbars are available? 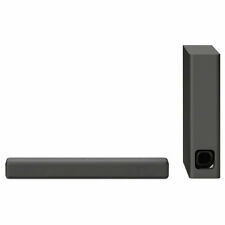 Standalone soundbars - These types of soundbars are designed in such a way that they contain all of their speaker elements in one sleek package. They generally contain two mid-range speakers on either side, and they sometimes contain a subwoofer in the middle and tweeters on their extremities. Soundbars with subwoofers - Some soundbars come with exterior subwoofers. These soundbars are usually connected to their associated subwoofers via Bluetooth, and they have power supplies. In some instances, you can control the intensity of these subwoofers with analog buttons, and sometimes bass intensity is controlled with the remote that you use with your soundbar. Surround sound soundbar systems - Some of the soundbars in this collection may come with a number of small speakers that you can arrange throughout your media room to create a surround sound effect. These extra speakers are usually wireless, and many of them connect via Bluetooth. How do you pick the right soundbar? To decide which soundbar suits you the best, you'll need to consider the amount of space you have to work with in your media room. For instance, if the bezel of your TV starts 6 inches above your TV table, you'll want to pick a soundbar that is less than 6 inches high. In addition, you'll want to determine whether or not you want additional accessories like subwoofers or surround sound systems, and you'll need to decide which soundbar brand you like the most and pick a particular model that fits your budget and your preferences. Discover the perfect backpack, dorm room decorations, study supplies and great home soundbars to prepare for going Back to College.